“There’s only one problem with [the Democratic Party’s] excuse: why would the Russians favor a political party that’s hawkish on the Russians, Chinese, and Islamic radicals? If anything, the Russians should be assisting the Democrats, who are neo-Marxists or socialists and who behave as if stupidity is a virtue,” said Det. Aquino. Don’t be surprised to hear the Democrats crying after losing in November. They will shed their tears as the scream like 4-year-old kids demanding a special counsel to go after Trump and Putin again. Democratic candidates throughout the United States are now trying their own hands at blaming the Russians for losing their political races last Tuesday, according to former law enforcement chief and political consultant Sidney Franes. “The media have placed the Democrats in a pickle: they informed Americans a ‘blue wave’ of Democratic Party victories will rescue their party and help to remove or at least neutralize President [Donald Trump] before he piles up more successes,” notes Franes. “While every Trump success appears to be a blessing to the real Americans — the ones who do the working, spending, taxpaying, living and dying in the USA) — to the progressives and Marxists see defeat for their ambitions to run the American people like taxpaying cattle,” he added. 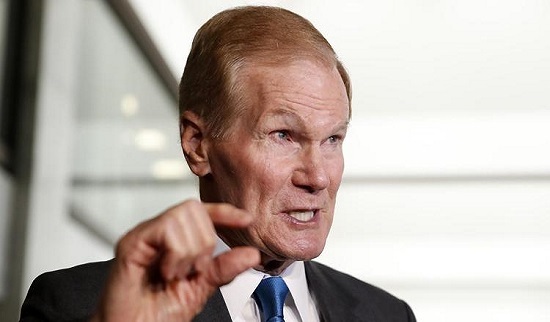 The latest Democrat, but most probably far from the last, Florida’s longtime lawmaker Sen Bill Nelson claims that members of the U.S. Senate Intelligence Committee told him in confidence that Russian cyber spies and hackers had interfered with local Florida voting last Tuesday. 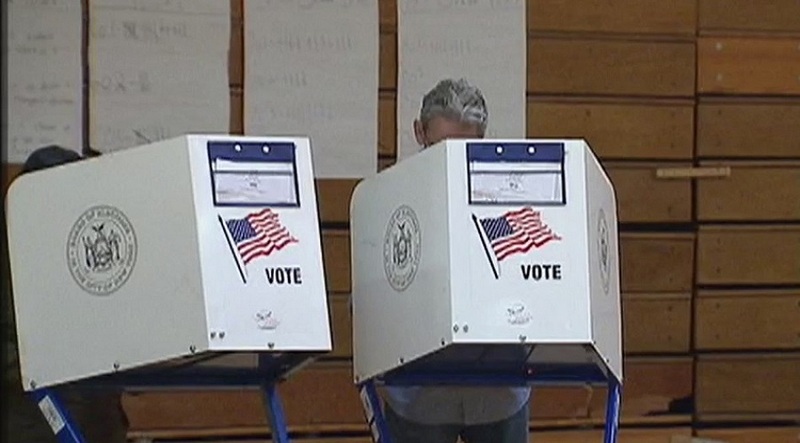 If the Senator isn’t indulging in mendacity, then the intelligence committee knows something that the Department of Homeland Security doesn’t known since DHS officials say there is no evidence of voting machine hacking or any attempts at infiltrating the Florida election by Russians or any other nation. “The news media are chomping at the bit over the idea that the Russians are proving they’re opposed to the Democrats and wish Republicans to be victorious this November,” said Iris Aquino, a retired undercover detective from New York. “There’s only one problem with their excuse: why would the Russians favor a political party that’s hawkish on the Russians, Chinese, and Islamic radicals? If anything, the Russians should be assisting the Democrats, who are neo-Marxists or socialists and who behave as if stupidity is a virtue,” said Det. Aquino. 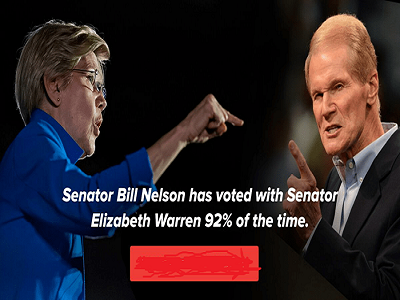 Sen. Bill Nelson, D-Fla., Nelson, the ranking member of the cyber subcommittee of the Senate Armed Services Committee, said Wednesday that Russians have hacked into some of Florida’s election systems. State officials say they have no information to support that. “While we are aware of Senator Nelson’s recent statements, we have not seen any new compromises by Russian actors of election infrastructure,” Sendek told news outlets. “Talk about calling Nelson’s bluff. And they did it in a way that they were giving the impression that they were giving his accusations credence and putting it to the committee and the DHS to confirm or deny and let them be the ones to call Nelson a liar,” said political analyst Steven Ahle. Sen. Nelson, the ranking member of the cyber subcommittee of the Senate Armed Services Committee, said Wednesday that Russian operatives have penetrated some of the state’s election systems ahead of this year’s midterms. But several cyber-security experts believe Nelson and other Democrats will play the same game that Hillary Clinton and the Deep State Democrats played after her defeat by Trump: they will demand a special counsel and spend millions of dollars on a wild-goose-chase.